With our long experience with Energy Management, we came across customers who struggled with Power Quality issues. Identifying the issues helps users address reliability and stability concerns before they actually impact on your facilities performance and more important on bottom line of organization. Our PQA service is backed up by range of accurate devices that we deal with and expertise gained from our EMS portfolio. The PQA report from us can also help highlight frequencies contributing to mains corruption. This can also help select right set of Active Harmonics Filters which we offer. If you need a quick discussion in this regard, give us a call or write us. Visit by our Engineer helps in understanding exact scope of work. If we can make preliminary visit to understand scope of work, we can provide most efficient estimate. Transient behaviour of mapped points is identified. Exact areas of power loss are identified. If harmonics study is included in the scope of work, harmonics analysis of target non-linear loads is provided. Value added services: Comparison of energy consumption of specified metering points, Development of preventive & predictive maintenance schedules, Assess sensitivity of specific equipment to disturbances. The duration of each audit depends on number of power points identified for the audit. We simplify costs as number of points rises. Certain studies requires us to put our analysis setup running overnight. Phase-asymmetry (specifically when operating single-phase switch-mode power supplies) which introduce additional harmonics. Our TrueSign Active Harmonics Filter helps you mitigate harmonic problems comprehensively. 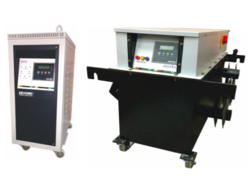 With our Portable & Panel Load Managers, you can measure and analyze harmonics. We also perform Power Quality & Harmonics audits helping decide right configuration of filtering solution for optimum results. With years of experience in Power Conditioning & Energy Management, we provide innovative solutions to your power conditioning needs. Our Industrial grade Servo Controlled Voltage Stabilisers have set the standard in the industry for product design and quality in over 300,000 installations over the years. 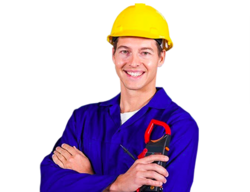 We provide service support within 6 hours in select cities and within 24 hours otherwise.¿¿¿¿¿¿Applications: ¿¿¿	CNC Machin Tools ¿¿¿	Injection Moulding Machines ¿¿¿	Textile Machines-Spinning, Weaving, Knitting ¿¿¿	Printing Machines ¿¿¿	Medical Equipment ¿¿¿	Food Processing Machines ¿¿¿	Air Conditioning ¿¿¿ Protections ¿¿¿	Under/Over Voltage Trip ¿¿¿	Electronic Overload Trip ¿¿¿	Short Circuit ¿¿¿	Single Phasing ¿¿¿	Phase Reversal ¿¿¿	Manual Service Bypass for Emergencies ¿¿¿	Emergency Stop ¿¿¿Features: ¿¿¿	Microprocessor Controlled ¿¿¿	Digital Voltage, Current & Frequency Display ¿¿¿	Comprehensive Protection ¿¿¿	High-efficiency ¿¿¿	Rugged design with high MTBF Ordering Information ¿¿¿	Electrical Configuration: Single Phase / Three Phase ¿¿¿	Input Voltage Range: Example 170V to 270V AC Single Phase or 350 to 475V AC Three Phase ¿¿¿	Output VA Rating: Example 1 kVA or 3 kVA etc. We support standard products upto 100 kVA. 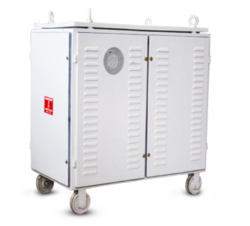 Everything above 100 kVA is customized to requirement specifications. Isolation Transformers from us is designed to save energy costs while protecting your critical plant assets. Transformers are critical equipment in the power supply chain of every industry and work 24/7 in most cases. The quality and efficiency of transformers, therefore, are very critical and make a significant difference to the industry both in terms of uptime and energy costs. Considering the importance of this, we are offering innovatively designed efficient transformers that help industries through superior performance and lower energy losses. With over 250,000 installations in various applications, our transformers have a proven track record of performance over a long life-cycle. Looking for Power Quality & Feeder Protection ?